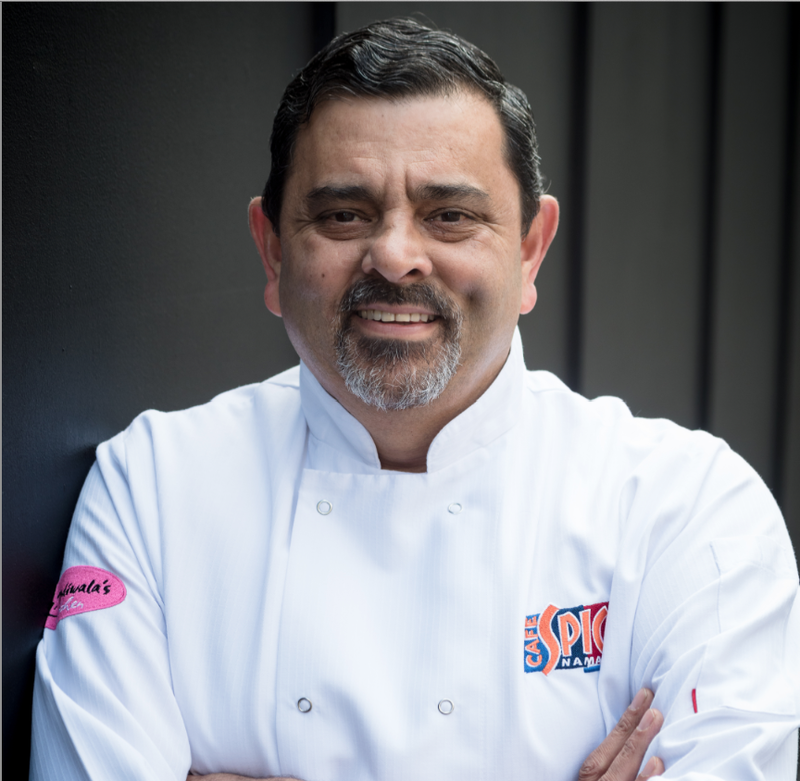 Cyrus Todiwala OBE shares his passions for delicate authentic spices and sustainable British produce throughout this specially prepared tasting menu eXperience, hosted at his ‘Cafe Spice Namaste’ Restaurant in the fashionable east end of London. Welcome glass of pomegranate Bellini (bubbly with pomegranate syrup). Tasting Menu eXperience: Daily menu created to offer a balance of tastes and textures to keep your interest going. Dishes are not a fixed number – they serve a balanced menu, until you are full! This menu could be stretched by you to last a good two hours of easy dining. A journey through flavours from Cyrus’ India which have influenced his award winning cooking. A selection of mini plates encompassing their regular menu as well as daily specials. eXclusive spice selection to take home.